Madeline Brewer was on the red carpet yesterday evening(April 12th) for the 29th Annual GLAAD Media Awards at The Beverly Hilton Hotel in Beverly Hills, CA. 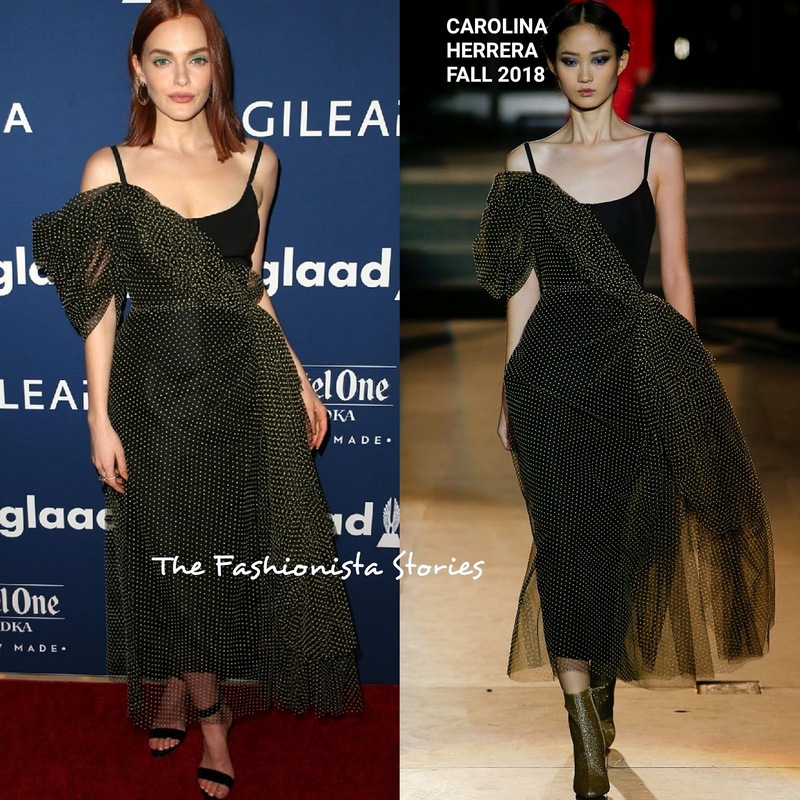 For the occasion, she turned to CAROLINA HERRERA wearing a FALL 2018 black calf length tank dress with a contrasting gold tulle dotted, draped overlay dress. Loved this dress on the runway but on Madeline, it doesn't have the same impact. The shape of the tulle overlay is different and I see this dress for someone more like Diane Kruger. I am usually a fan of her red carpet looks but I am not sold on this one. BRIAN ATWOOD sandals, HUEB earrings, ANABELA CHAN rings, a colored smokey eye and straight tresses finished up her look. Are you sold on Madeline's look?